The Utilities Division establishes and regulates rates for public utilities, including electricity, natural gas, liquid pipeline, and telecommunications. The Division also houses the pipeline safety program, and administers the Kansas Universal Services Fund (KUSF) through a third party administrator. Click here to view the Kansas Lifeline eligibilty requirements. 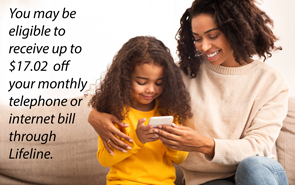 For more information about Kansas Lifeline, call your local telephone company. The number is on your telephone bill or in the front section of the telephone directory. What telecom services are regulated by the KCC? What is the Kansas Universal Service Fund (KUSF)? What are my rights as a consumer under the KCC’s Kansas Telephone Billing Practices? Can the KCC help me understand my phone bill? Determine if I may be eligible for Lifeline. Find a Local Service Provider. Find an internet provider in my area.